The 2016 Aiken Bluegrass Festival took place on May 13th and 14th at the Fairgrounds in Aiken, SC. The festival brought many performers, venders, and attendees from across the country. All proceeds from the Aiken Bluegrass Festival benefit Great Oak Aiken Therapeutic Riding Center, a nonprofit organization that helps individuals with disabilities improve their quality of life through safe interaction with horses. This is one of the most unique festivals in operation today. Not only are the festivalgoers given back-to-back powerful performances, they also get access to rare collaborations exclusive to Aiken Bluegrass Festival. One word I would use to describe this festival would be “euphoric.” Music festivals always tend to give attendees a surreal experience to escape the realities of the “real world.” This festival throws all these feelings at you and more. Everyone at this close-knit festival is a part of what some would call a big family. While there is good music, food, craft beer, and various venders to be enjoyed by the adults in attendance, there are also various activities and food catering devoted to the kids. At ABF, there isn't an age cap, nor is there an age too young to attend. There are outlets to give every single person a safe and enjoyable time. We all love good music; we all love a good time, and its safe to say that in majority, we all love dogs. 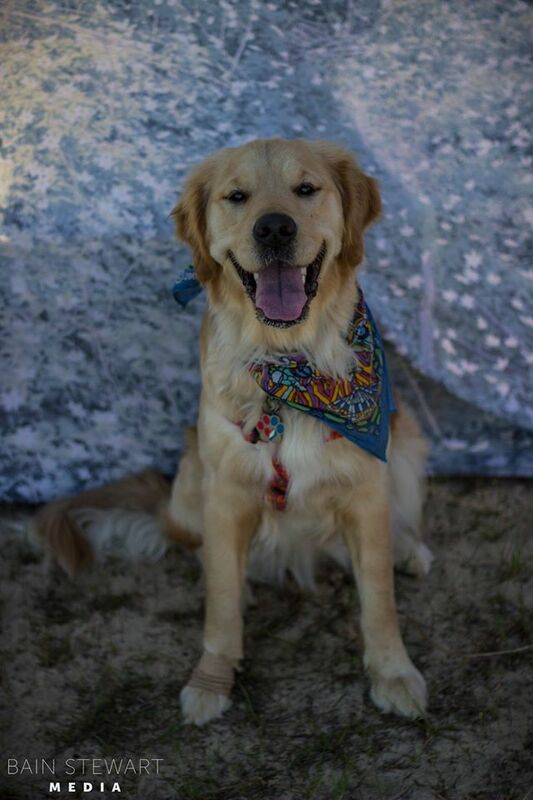 This festival is dog friendly. So while the little ones are running around and the adults are dancing to good music, anyone can take a break to say hello to the first dog in sight. In all honesty I’m curious of a better sounding occasion. Black Water Deep kicked off the festival on Friday with some originals to get the crowd going. This Athens, GA native band brought smiles to everybody’s face with their classic approach to bluegrass. As the festival opener came to the close of their set, they paid tribute to Merle Haggard with a soothing “Mama Tried” cover. From there it’s safe to say that the people were ready for a weekend of music. Following Black Water Deep was Doug and the Henrys, a band based out of Augusta, GA featuring Henry Wynn Jr., guitarist Doug Johnson, and mandolin/violin player Henry Wynn III whom covered a variety of songs spanning multiple genres, including an homage to Bob Dylan with a cover of “You Ain’t Goin’ Nowhere.” A festival full of heartfelt covers only grew from here. 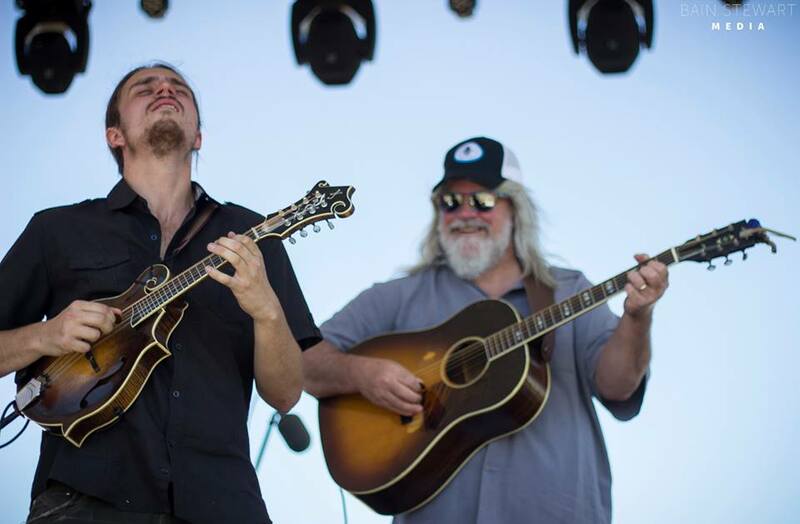 The Josh Daniel & Mark Schimick Project, known for playing with the Larry Keel Experience and The New Familiars kept the show rolling with their soulful blend of Appalachian rooted rock and bluegrass. 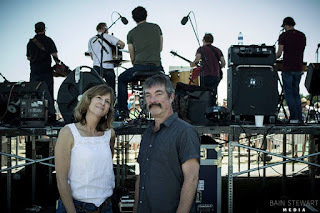 Rock and bluegrass is nothing foreign to the renowned husband and wife duo Larry and Jenny Keel, joined by banjo player Will Lee (“Wooley”) forming The Larry Keel Experience. The trio fished and picked through their set with Larry Keel originals as well as tributes in the form of The Grateful Dead’s “Ramble On Rose” and Lynyrd Skynyrd’s “That Smell.” Any other set as a prerequisite to what was to come Friday night was unimaginable. Mountain Express Band came together for a reunion performance to close out the first night of the weekend. This band hasn’t traveled or performed since the early 2000’s. They definitely didn’t hold back as they gave us an “Uptown Blues” and more prior to closing out night one with a cover of The Grateful Dead’s “Not Fade Away.” It was without a doubt a blast to see them smiling on stage once again. 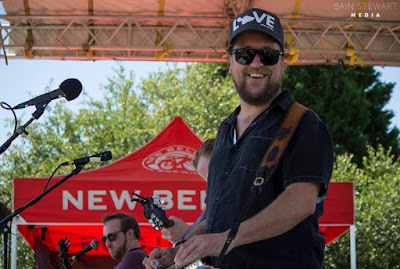 With all of the talented musicians performing, there was also incredible collaborations/sit-ins with artists such as Vince Herman of Leftover Salmon and his son, Silas Herman of Gipsy Moon alongside members of Greensky Bluegrass, Fruition, and many more. 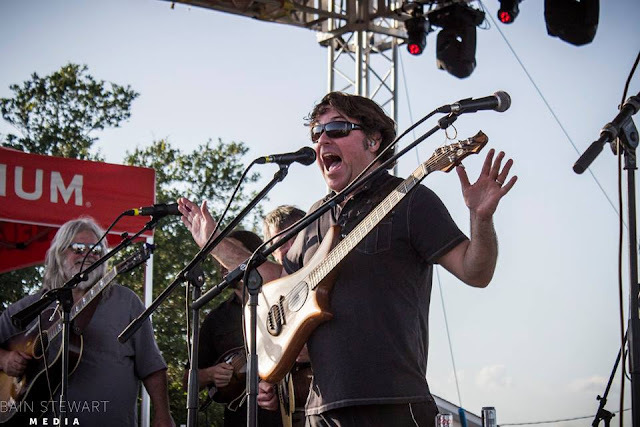 The big superjam of the weekend, “Larry Keel’s Aiken Allstar Band”, or as Vince Herman called it: “The Fruitsky Gipsy Salmon Experience-Grass” kept the crowd on their toes with heavy hitting unexpected turns. The jam featured Larry and Jenny Keel, Keller Williams, members of Greensky Bluegrass and Fruition, the two Hermans and more. They showed you how much the music is supposed to be about the fun. Keller brought in his rendition of “Pumped Up Kicks,” but changed the lyrics a bit singing: “Better run, better run, faster than my banjo.” Right when you thought the superjam was over, they all collectively sang “Wake and Bake” with a clever play on words for the chorus: “Wake and Aiken.” These bands came from Oregon, Colorado, and other various places nationwide making the conscious decision to travel to the small town of Aiken, SC to perform at this festival. To me and probably to most, that says a lot. One of the funnier experiences I had while covering the festival was watching Keller Williams walk off the stage after the first (and largest) superjam of the weekend. Keller decided he was going to slap himself in the face as “face drums” since this bluegrass superjam was without drums. He held true to this and without fail played the face drums throughout the set. After finishing up the set he stepped down the stairs of the stage and looked at me with blistering red cheeks and said: “No more face percussion. Ever. It hurts. You know what, here’s an addition, it wicked hurts.” All of us who have experienced a Keller Williams performance know just how much of a clown he can be. But, as clown-like as he is at times, he knows how to play a mind-blowing performance. It really is such an incredible feeling to walk away from a music festival and say to yourself, “Wow, that didn’t seem real.” The friendships that are born, the musical experienced, and the all around atmosphere of this camping festival really makes an impact on those in attendance. All in all Aiken Bluegrass Festival is truly one of a kind.